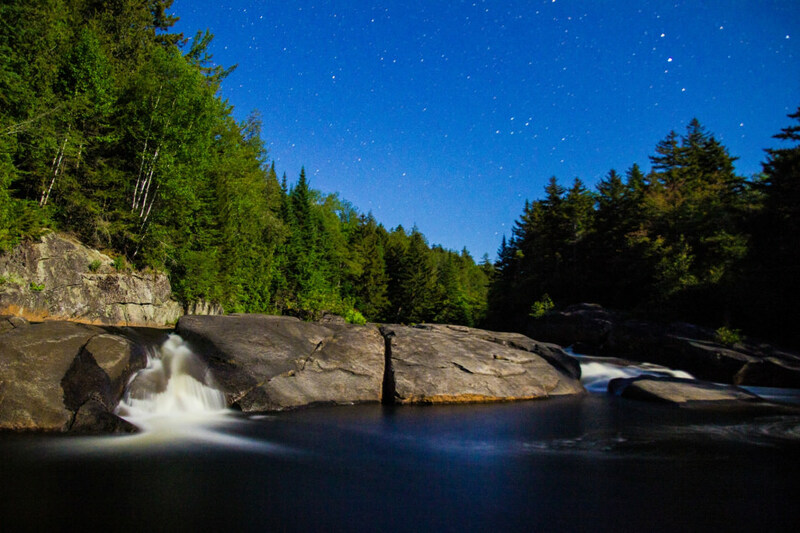 The Adirondacks are a wilderness area as bottomless as any other on the East Coast, filled with untainted pockets of forest located miles away from any sense of civilization. 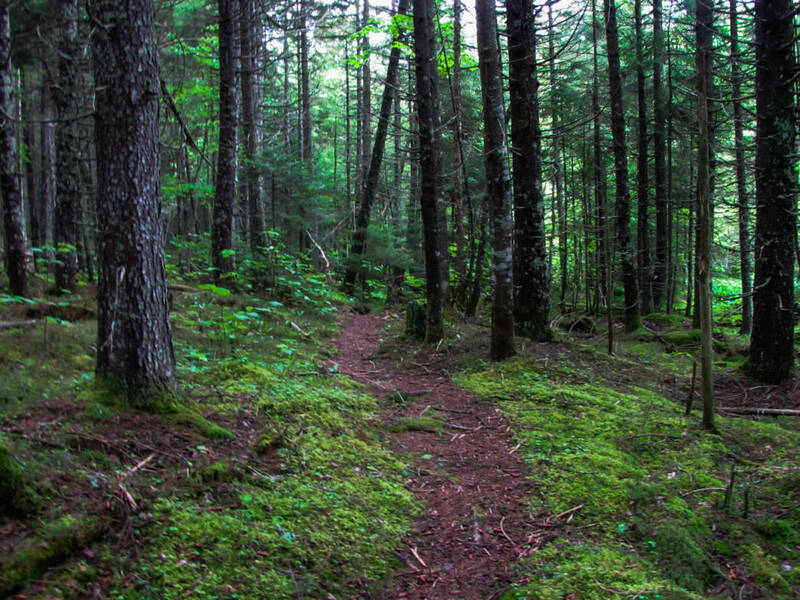 Here, trails twist like tunnels through old growth and virgin forests alike, packed dense enough that it's generally only bears and moose who tend to navigate them. 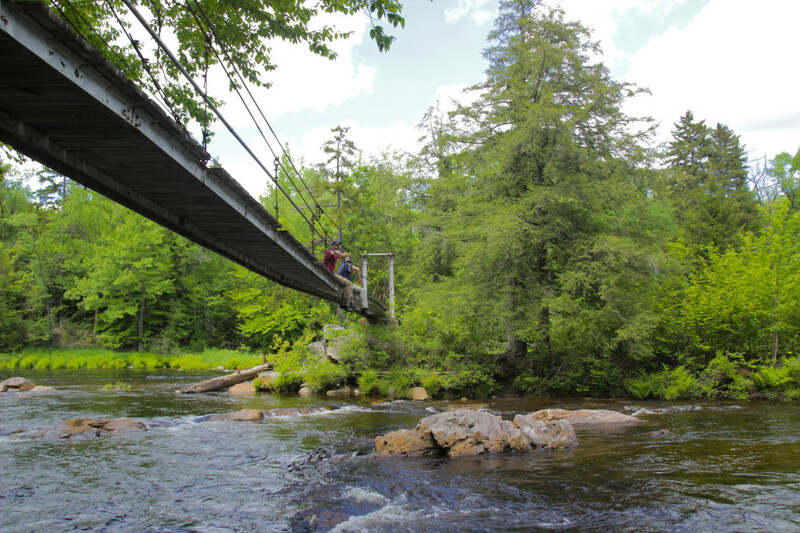 Among the most revered of these trails that tunnel their way through northern New York's wild expanses of undulating terrain and rocky alpine tundra is the Northville-Placid Trail—a long-distance artery plunging deep into the heart of the region's original backwoods and into the quietest reaches of Adirondack Park. 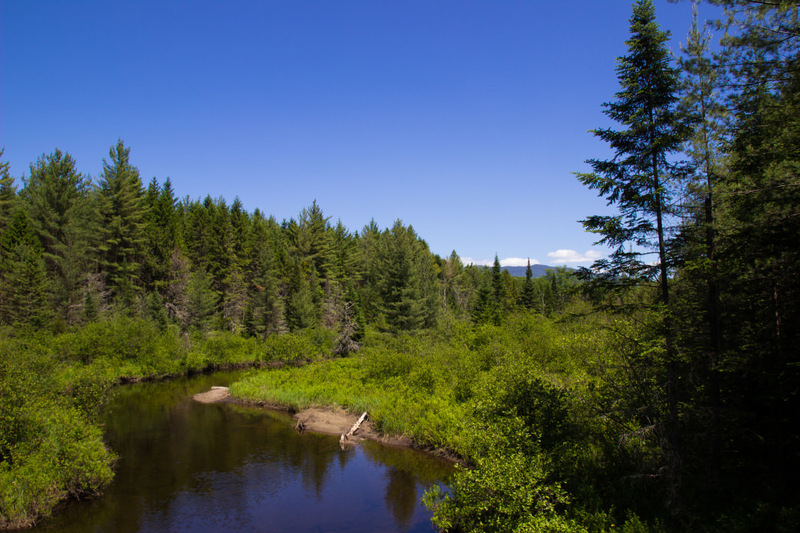 For 133 miles, the Northville-Placid Trail weaves between ponds, lakes, and rivers, climbs over mountains and hills, and slogs through swamps and bogs as it skips from wilderness areas to quintessential Adirondack villages and back again. 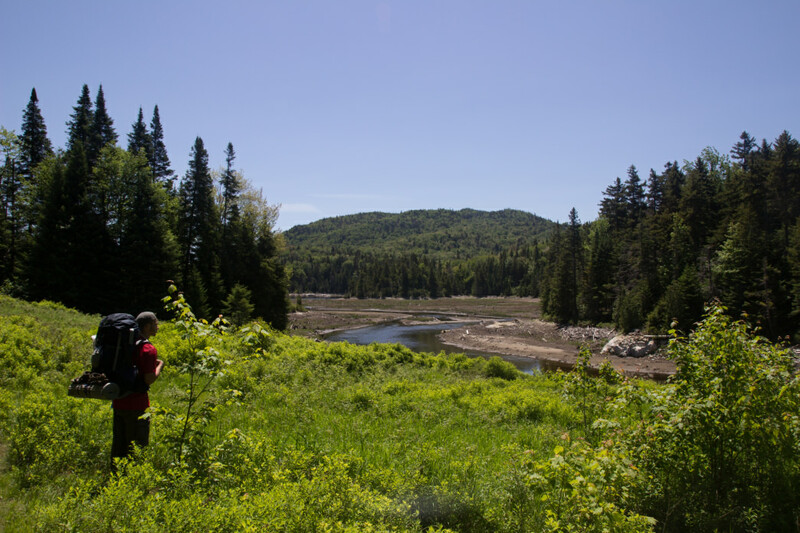 The first ground was broken for the route between the constructions of Vermont’s famous Long Trail and the mighty Appalachian Trail, at a time when the Adirondacks were little more than a massive tract of wilderness dotted with lumber camps, fur traders, and mining operations. It was an obvious matter of logistics that the newly-formed Adirondack Mountain Club’s long distance route would run from Northville to Lake Placid, as they were the two hubs of railroad traffic in the area. Today, the park is crisscrossed by roads, highways, and miles of other trails, yet the Northville-Placid Trail still finds its way into areas that feel unchanged from the early 20th century, and a journey along it’s full length is arguably the best taste of the region that one could get. The summer and fall are by far the most popular times to hike the NPT. In the higher elevations of the Adirondacks, snow can last into April or even May, but the departure of that signals the beginning of Black Fly season, which will typically tail off by June. After that, warm days flanked by cooler nights, the relative lack of pests, and even the start of fall foliage can turn the Adirondacks into a paradise, as well as turn the NPT into a destination to top anyone’s bucket list. 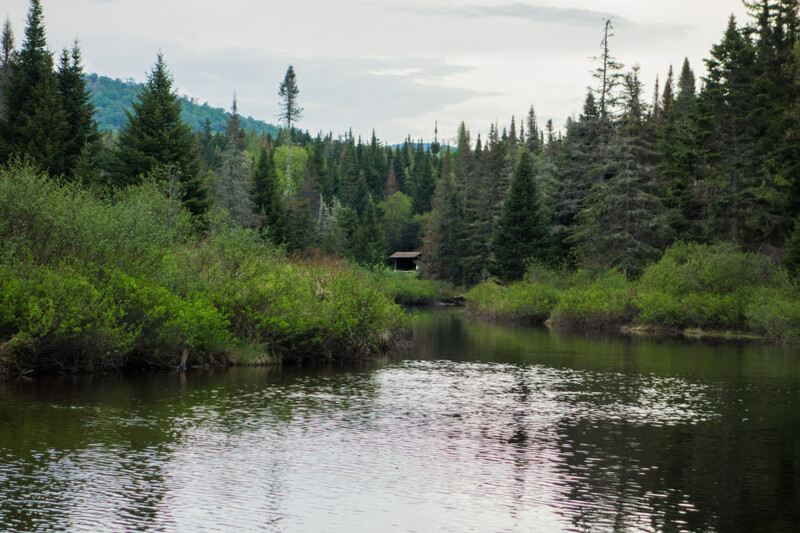 While the route will test your legs with hills and some minor climbs, most of it traces its way through the many valleys surrounding the larger mountains, following winding rivers and streams or jumping between lakes, ripe with the eerie calls of the loon. All to say, water is not hard to come by on the Northville-Placid Trail, but like anywhere else, it's important to treat it before you drink. Black Bears make their homes all throughout the Adirondacks, including along the NPT. Some have even been known to break into leantos in search of food. To prevent yours from being snatched, never keep food in the lean-tos. Instead, hang anything with a scent at least 15 feet off the ground, and 100 feet from your campsite. For those not willing to carry an entire hike’s worth of food right from the beginning, the trail passes either through or near the towns of Piseco, Blue Mountain Lake, and Long Lake at a pretty even rate throughout the trip. Many thru-hikers will break their food up into four sections and mail the final three to the Post Offices in each of those towns. One feature that sets a Northville-Placid trek apart from other long distance trails is the more than 40 lean-tos that dot the route and make it possible for thru-hikers to go from one end to the other, sleeping entirely under a dry roof. 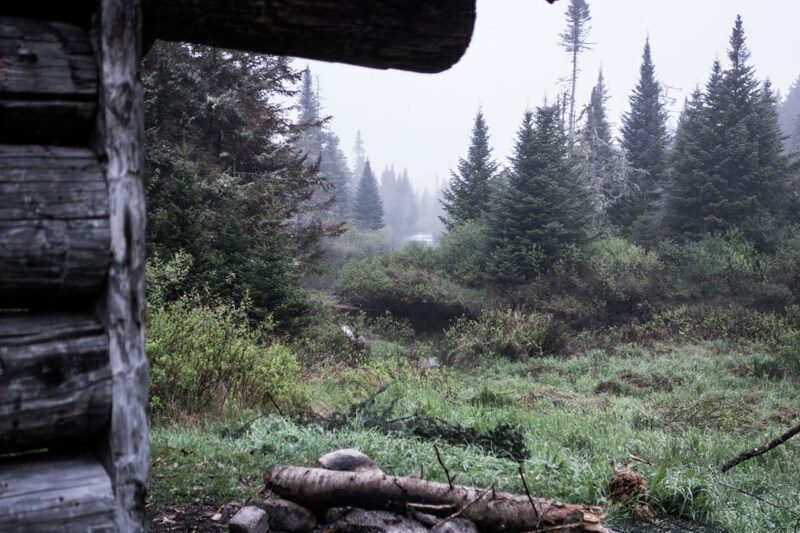 These rustic three-sided shelters are a staple of long trails throughout the Northeast, but in the Adirondacks they really shine, offering postcard-worthy views right from your sleeping bags, with the added benefit of nothing to carry. None take reservations, but it’s exceedingly rare that any will be filled to their 8-person capacity. In fact, most of these spots you can expect to have to yourself. While the ample options for campsites do offer an unparalleled versatility in route planning, they make finding the best places to break up a trip an intensely scrutinized task for any thru-hiker. Most make the 133-mile trek in between one and two weeks, but we picked out the best leantos to break it up with, coming in at 12 nights on-trail. If you’re feeling fast, just combine some of the shorter days. Like a lot of leantos within just a day of the road, expect company at Silver Lake. It’s a hub for anglers, making it a cool place to pick up all sorts of stories and trail lore. The spot is on a hill slightly up the trail from the water. Hamilton Lake Stream feeds from its namesake lake, in the hills northeast of this spot, to the West Branch of the Sacandaga River, which you cross on a suspension bridge shortly before the lean-to. Cross another bridge over the stream, and the shelter is up to the right, on a bluff overlooking the meandering waterway as it cuts through a grassy, open area below. It’s a long day from Hamilton Lake Stream through the town of Piseco to Spruce Lake, and if you’re going from lean-to to lean-to, you’ll have to make it, but it’s the only similarly hefty day along the entire route. You’ll come to the first of three shelters at the southern end of the lake, but if you’re up to it, push on for one more mile to the third, which sits close enough to the water for the waves to practically lap the front of it. There are a handful of beautiful campsites in the Cedar Lakes—one of the most remote and picturesque areas of the NPT—but West Lake No. 1 is hard to beat. There’s little between the lean-to and the shore, save a quaint stone fire pit, and walking along the water north slightly brings you to a large boulder sitting half in the water that is the perfect vantage to watch the sun setting across the lake. Just off the trail, this leanto sits on a peninsula between the Cedar Lakes and Beaver Pond, immediately before a bridge that crosses the stream between them. Situated along a bend in the narrow, nonchalantly winding Cedar River, the Carry lean-to is a NPT highlight. From inside, you can look down the hill through a clearing toward the water, then further down the valley it follows to the Cedar River Flow. It’s another longer day to Stephens Pond, including some road walking past Wakely Dam and the Moose River Recreation Area. A newer section of the NPT, rerouted past private property, winds along a series of hillsides to the wooded Stephens Pond Lean-to. Tirrell Pond was formerly popular with float plane pilots, many of whom weren’t as conscientious about their food storage, meaning the animals living here are more willing to come exploring. Make sure you secure it properly. Besides the wildlife, the shelter here is another favorite, sitting near a sandy beach (perfect for swimming on a hot day) on the shore of the pond, looking toward cliffs on its opposite side. From Tirrell Pond, you climb a shoulder of Mount Sabattis, the highpoint of the NPT, before descending to Long Lake. At 14 miles end-to-end, Long Lake is a fixture not only of the Adirondacks, but of a good portion of the route. It’s also home to 8 different NPT-accessible lean-tos. The first two sit in quiet Catlin Bay. Choose the initial one, sitting higher in the trees, if the wind is blowing off the lake, but the second on sunnier days. After a full day tracing Long Lake’s eastern shoreline, Plumley’s Point offers the final shelters before heading deeper into the High Peaks Wilderness. No. 1 sits close to the water, isolated from it by some bushes, but still close enough to do some swimming. From Long Lake, you head into another isolated part of the Adirondacks. The NPT splits the Eastern High Peaks, isolating the Seward Range from the rest of their 4,000-plus-foot brethren. A number of features, including Shattuck Clearing (a scenic opening in an otherwise impenetrable woods) and Big Eddy (a swirling cove in the Cold River), make this one of the more scenic sections. The five-star Seward Lean-to adds to that, sitting within earshot of tumultuous Millers Falls, a beautiful spot to end your day. After hiking passed the remnants of the formerly-dammed Duck Hole, Moose Pond Lean-to sits on a hill overlooking its namesake, with wide-angle views of the appropriately named Sawtooth Mountains. After a final night here, it’s another 8.3 miles, including passed Wanika Falls, to Averyville Road and the end of your thru-hike. Think You Could Paddle Tennessee?